Oleander plants, also known as Nerium oleander, are large, flowering shrubs native to southern Europe and southwest Asia. 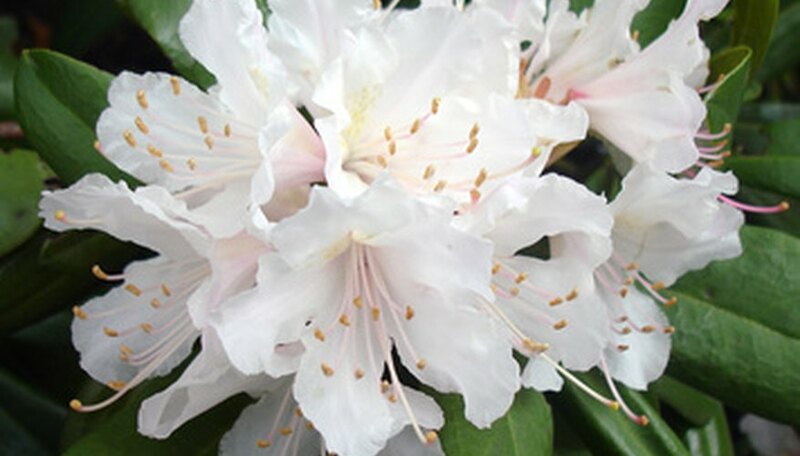 Gardeners prize the shrubs for their rapid growth, fragrant flowers and tolerance of heat and drought. Oleander blooms in early summer to mid-fall, producing blossoms in shades of white, yellow, pink and red, depending on variety. Hardy in USDA zones 9 through 11, oleander plants grow in the southern parts of the country where winter temperatures don't pose a threat. Even in zone 9, however, oleander plants may be killed back by the cold, but as long as the roots survive, they will return the next spring. Plant oleander during spring in a location that receives full sunlight throughout the day and consists of well-drained, moderately fertile soil for optimal growth. Space oleander plants 10 to 12 feet apart to allow plenty of room for growth. Apply a 4-inch layer of mulch to the soil surrounding oleander plants to provide insulation, increase moisture retention and deter weeds. Do not allow the mulch to touch the bark of the plant, as this will increase the likelihood of disease. Water oleander once every three to four days during the first month of growth, then reduce to once each week during the rest of the first year of growth. Reduce watering frequency to once per month after the first year. Do not water during winter. Remove spent oleander flowers as they fade to promote the formation of additional flowers and prolong the blooming season. Pinch the flowers off close to their point of origin, or the area where they meet the stem, to reduce damage. Prune oleander plants during early spring, just before active growth resumes, as oleander blooms on new wood. Use pruning shears to trim away any cold damaged, overgrown or old wood to improve the plant's health and to reduce the risk of disease. Most types of oleander plants survive temperatures as low as 15 degrees Fahrenheit, although their foliage will take significant damage. In most cases, the plants will recover when temperatures rise in spring. If it becomes any colder than this in your area, oleander will not likely survive the winter. Oleander can be grown in partial shade, but will have a lanky, open growth habit. Oleander requires no fertilization to thrive. Oleander is extremely poisonous, and should not be planted in a location that can be easily accessed by children or pets. Do not burn oleander, as the fumes emitted are toxic.